Often people want to know a little about the lives of the people to whom they trust to help them set up antique collections. After all, you are entrusting us (hopefully me) with lots of money and believing what we (hopefully I) tell you the real scoop about the things you buy from us (me). So, for those of you who want to learn something about me personally (besides the fact that I'm obsessed with antiques and the research of them), I'm setting up this "Kind of Like a Blog" page. It's kind of like a blog because I'm likely to delete parts as I add to it. It will likely be filled with photos and adding photos can't go on forever on any webpage....or it will never finish downloading on your computer at home. As you might have guessed from my family's annual Christmas cards, I'm almost as obsessed with my dogs as I am with antiques. 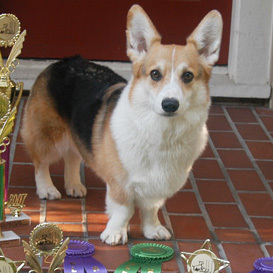 Currently, Randy and I share our home with three dogs: a 5 year old Corgi named Deeder, a 4 year old Bouvier named Edie, and a not quite 2 year old Sheltie named Mandy. This month, the Blog page belongs to Deeder. 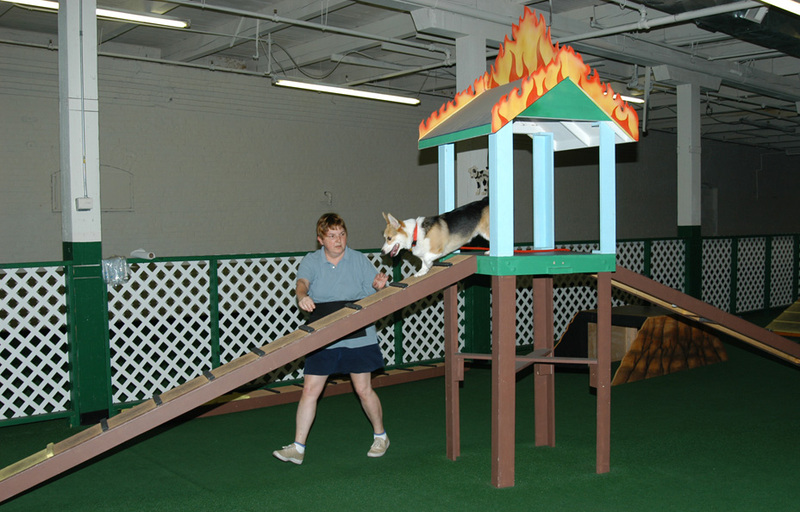 He's an agility dog extraordinaire. 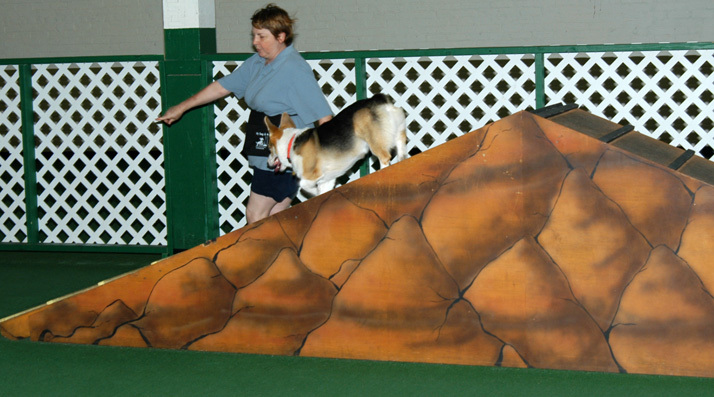 Deeder and I compete in agility fun, non-AKC matches. 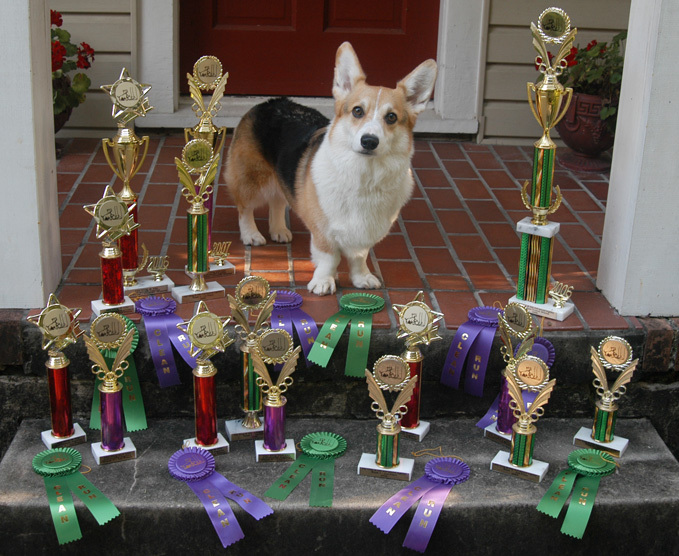 The differences between what we do and real competition is the equipment is non-regulation; we compete for trophies and ribbons; and he won't ever win an AKC title as a result of his wins. 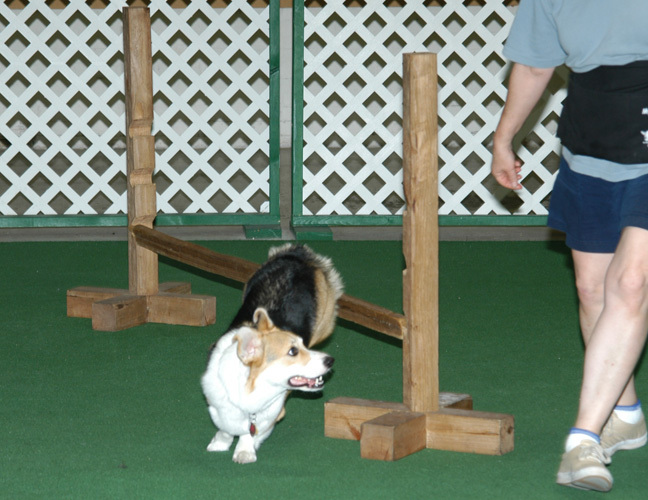 Most importantly, because we run for fun, Deeder competes with dogs of all sizes...including those with much longer legs who can cover ground much more quickly. 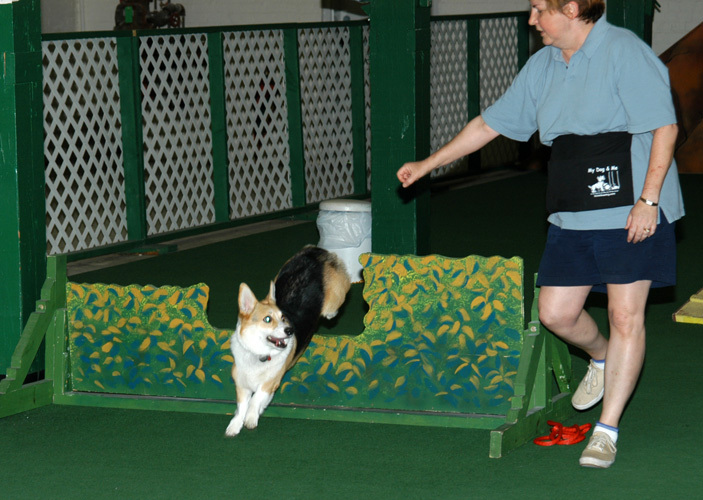 As you can see by the photo on the left, Deeder is just about the fastest dog on short legs! 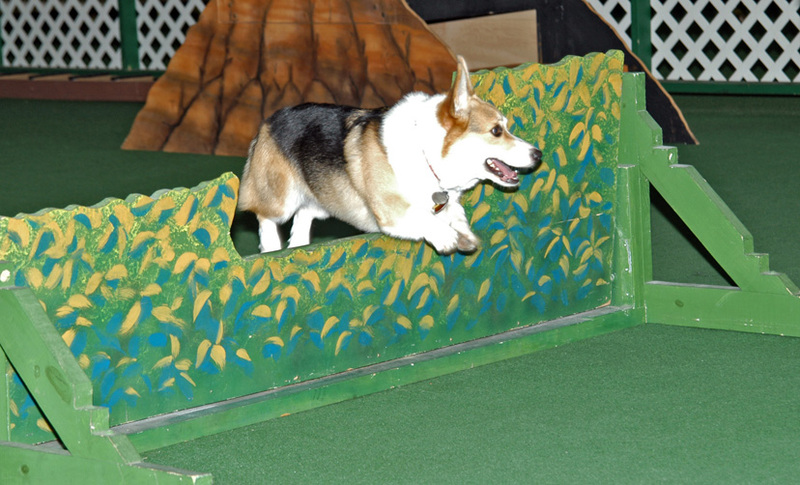 He is definitely the dog to beat in our agility matches! And he knows it!!! 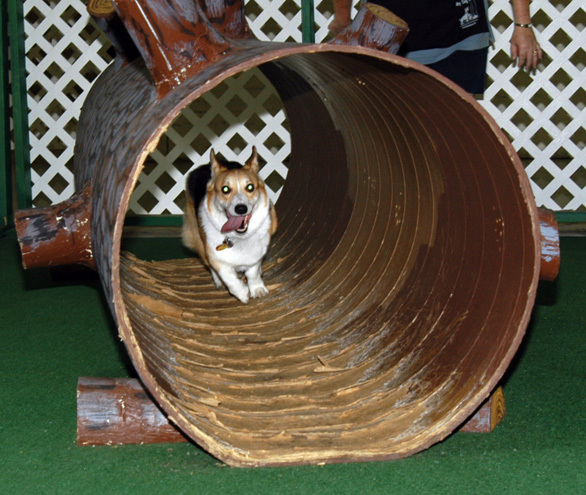 He's the most competitive dog I've ever shared my life with. 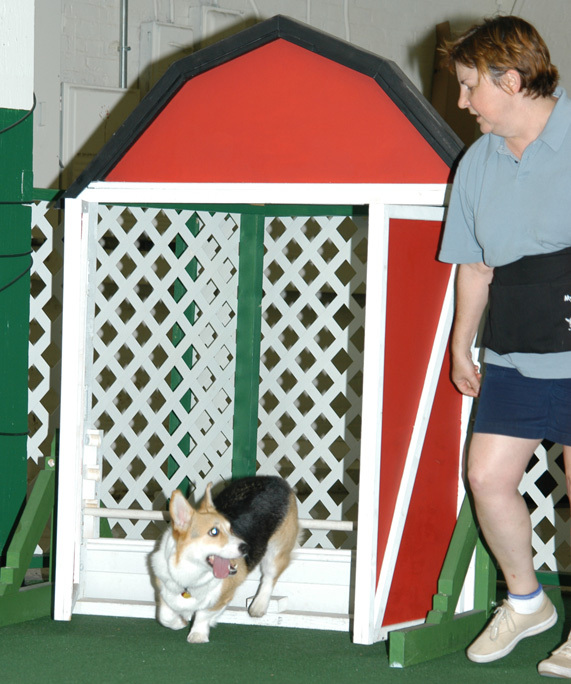 After the match, when our teacher gets the scores together and approaches our group to announce the winner, Deeder stands at the end of his lead, watching her every move. When she announces his name, he runs back to me barking (and, of course, expecting a treat). If his name is not announced and he doesn't bring home a trophy, he is dejected for the next couple of days. Deeder is an awesome doggie! Next time I add to this Blog page, maybe I'll have photos of Edie working at the farmer's market. She carries the groceries.